As much as I think that this movie (based on a novel by Seth Grahame-Smith) sounds like a completely stupid idea, I'm kind of looking forward to it. With Timur Bekmambetov (of "Night Watch", "Day Watch" and "Wanted" fame) directing it, I don't really see where it can go wrong except that it will hardly be a horror film if his previous efforts are anything to go by. Unfortunately, Tim Burton is producing so it could end up as yet another ridiculous fairytale or turn into a stupid comedy such as "Dark Shadows" which I don't even want to think about right now (or ever). According to the IMDb and Wikipedia articles, "Abraham Lincoln: Vampire Hunter" is cashing in on the 3D gimmick which I think a lot of us were hoping was already over. 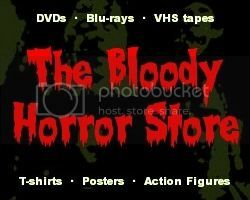 There's more 3D to come though later this year with "Piranha 3DD" so it's probably best to think of this film as yet another Summer movie for people who don't want to think too much. It could be good but the chances are that none of us will remember it either. 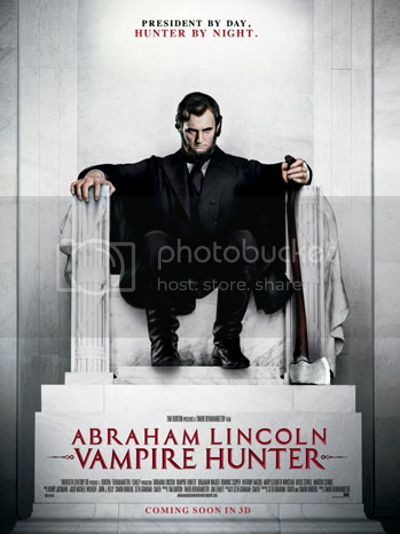 "Abraham Lincoln: Vampire Hunter" is due to be released in the USA on June 22nd, 2012.